The clear (non-embarrassing) teeth-straightening solution! Are you dissatisfied with your smile? You may have dreamed of having straight teeth, but perhaps you can’t get past the idea of having the “metal mouth” look. Did you know there’s a clear alternative to traditional braces? One that your friends, family members, and coworkers will not even realize you’re using to straighten your teeth. The practically invisible plastic orthodontic aligners are customized to fit your smile and gradually straighten, and align your teeth. At Bingham & Howarth, Invisalign usually costs the same as traditional braces, whereas the treatment takes only 6-12 months—half the time of regular braces! Invisalign is a modern approach to straightening teeth. Custom-fitted, clear trays or aligners are fabricated just for you. Wearing the trays will gently move your teeth to the desired position. You will use a new set of trays every 2-3 weeks until treatment is complete. It can be safely used by both adults and teenagers. Why are straight teeth important to my dental health? Gum disease (also known as periodontal disease) and tooth decay are caused by bacteria. Individuals with crowded teeth generally have a harder time keeping the areas between the teeth clean, which can then lead to periodontal disease. Studies have shown that periodontal disease can lead to heart problems and diabetes. With Invisalign and the help of Drs. 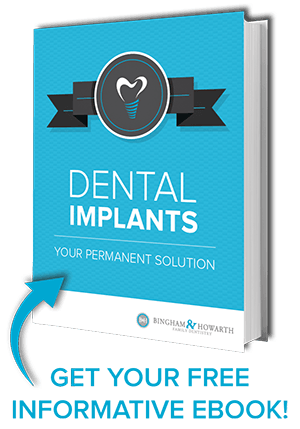 Bingham and Howath, not only will you be able to have a beautifully straight smile, you will also be taking care of the health of the rest of your body! We thought about what questions you might have about Invisalign and created an infographic with important information and helpful graphics to help you find the answers: “The Ultimate Patient’s Guide to Invisalign”. What information can you expect to find in your infographic? • An explanation of what exactly Invisalign is. • A diagram of the process. • A break down on the cost. 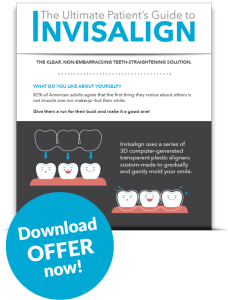 You will be able to find the answers to the questions we know you are asking about Invisalign in our FREE infographic that you can download HERE. Are you ready for the safe, fast and comfortable alternative to metal braces? Than call us today at (918)481-4925 or contact us for an appointment about Invisalign in Tulsa. Your smile will thank you!